I added a flower to my Ikea vase. It’s great because I got the flower from the 99 Cents Only store and it is meant as a hair clip. 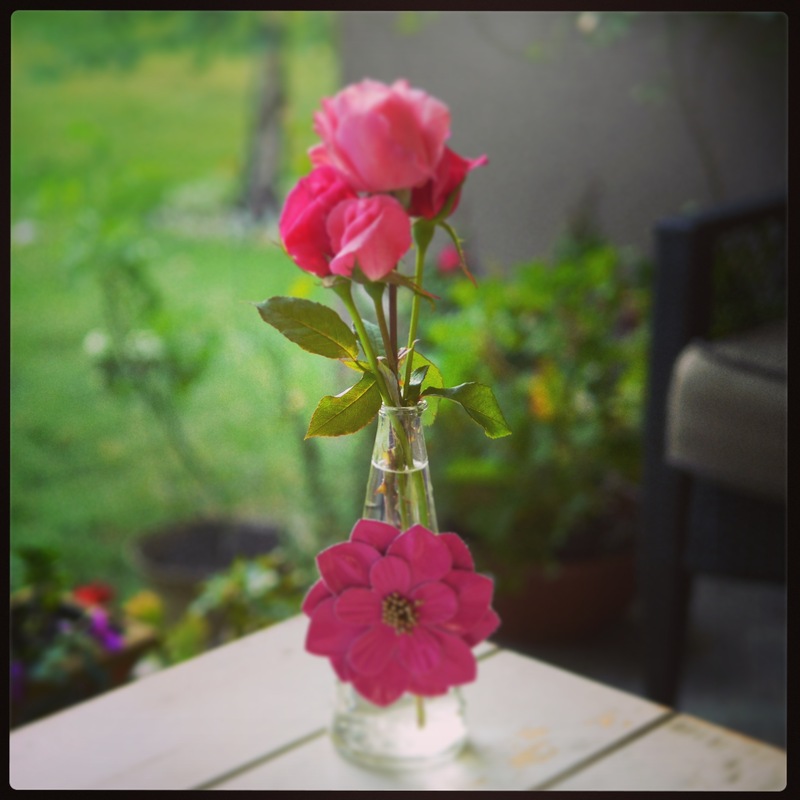 Anyway, I glue gunned it to my vase and snipped the roses from my garden.